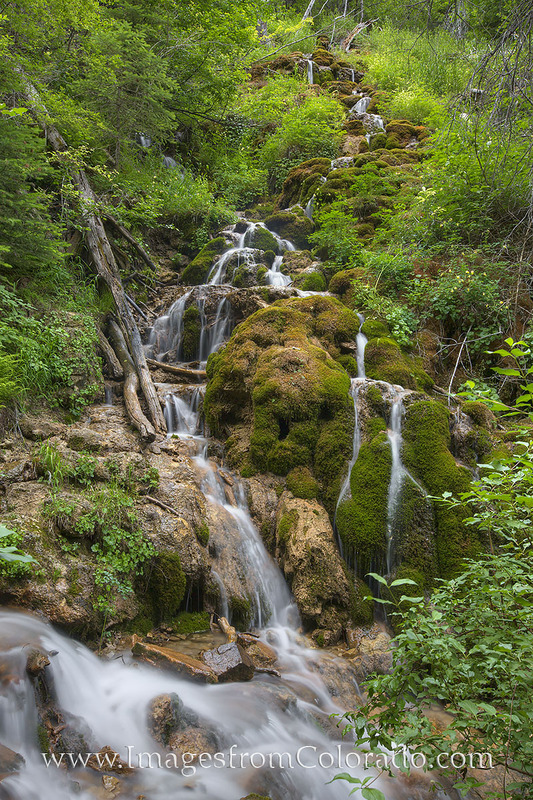 After shooting Hanging Lake near Glenwood Springs at sunrise, I paused at this beautiful cascade on the way back down the trail. I loved the silky look of the water as it slid down rocks and green leaves. This little waterfall made for a nice stopping point to enjoy the natural surroundings. Photo © copyright by Rob Greebon.